Finding lessons that are appropriate and meaningful for students is a balancing act teachers deal with each day. 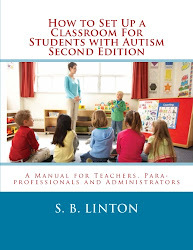 Although many teachers love to include morning work activities in the school day, sometimes the task is not suitable for students with autism. There could be a number or reasons. For example, maybe handwriting is a challenge or maybe the student cannot handle too many items on the page. For whatever reason, some worksheets may not work with the student. 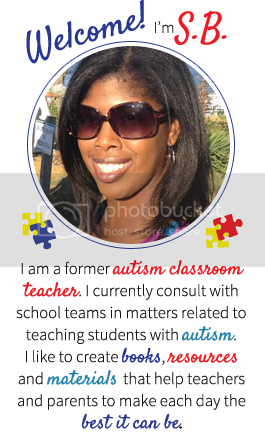 That is why I am loving these morning work for students with autism packets. 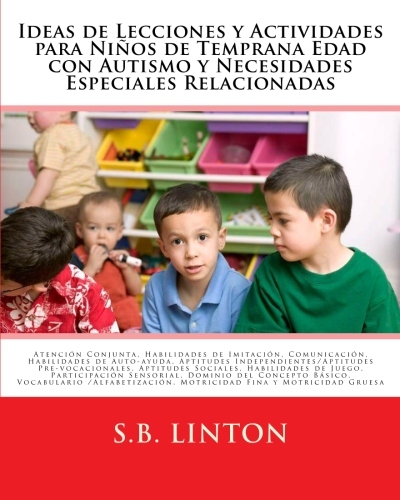 For one, they may work great for K, 1st and 2nd grade or students whose special needs include developmental delays. However, they are great for pre-k too. Secondly, they include printable worksheets that require variations in response styles for many answers. So if a student is having trouble with writing, they will have options to show what they know without writing. Some examples include, using string to match items, cutting and pasting answers, using bingo markers, coloring and circling answers. There are a number of things I like about the March and April pack. 1. 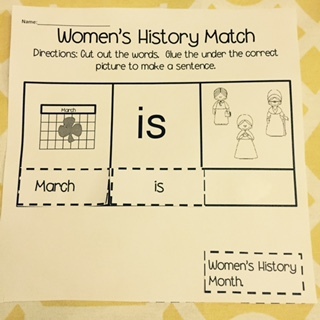 There is a simple page recognizing Women,s History Month. 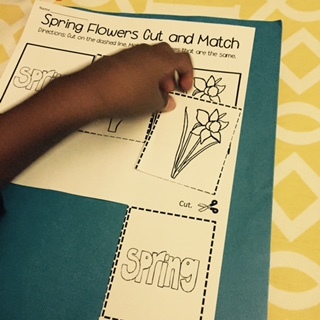 This page gives your kiddos practice cutting straight lines and matching to same. 2. There is a page highlighting the spelling of the work March. 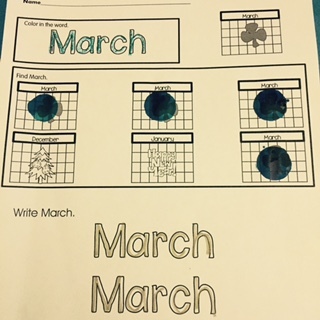 I like it because it focuses on teh work March with easy to do tasks such as using a bingo marker and tracing. 3. 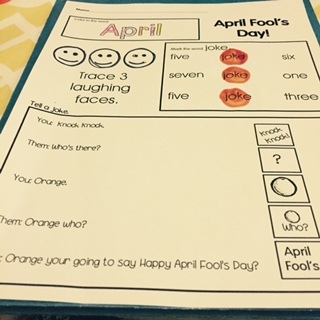 Stepping into April, it has an April Fool's Day page with a joke for students to tell. They can tell this joke using pictures. Students can point to the picutures to tell the joke if they cannot use words. This is a great way to introduce the "give and take" skill in conversations and the concept of telling a joke. How cool it that? 4. And finally, and most importantly, (to me), it talks about Spring! Maybe discussion about Spring will bring the Spring weather. So, the April Part of the packet covers this. If you want to discuss Spring and have the students practice cutting and matching pictures to the same picture, then this will do the job.